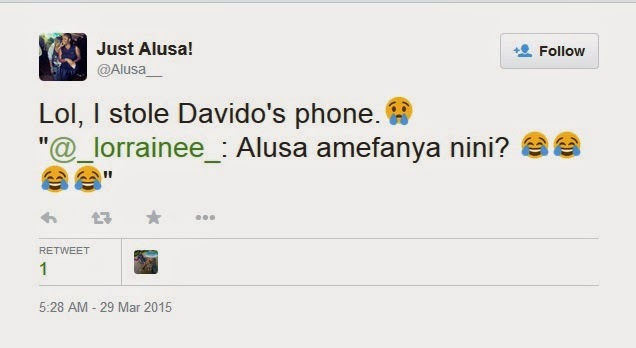 After Davido's phone went missing, there have been rumors that she might have lost it to a socialite. But new clues have emerged as to who exactly stole it. 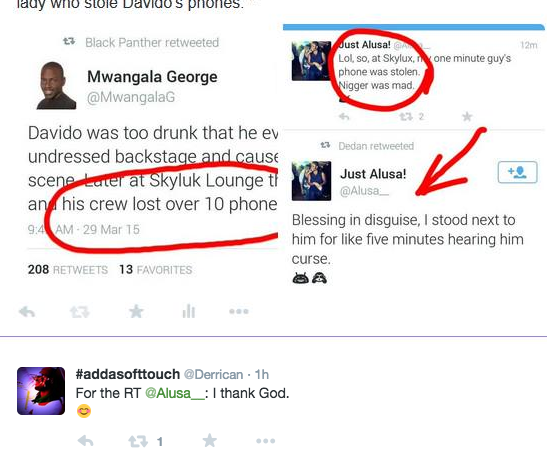 A lady going by the name Just Alusa has been bragging on twitter of how she got a 5 min opportunity and took it. 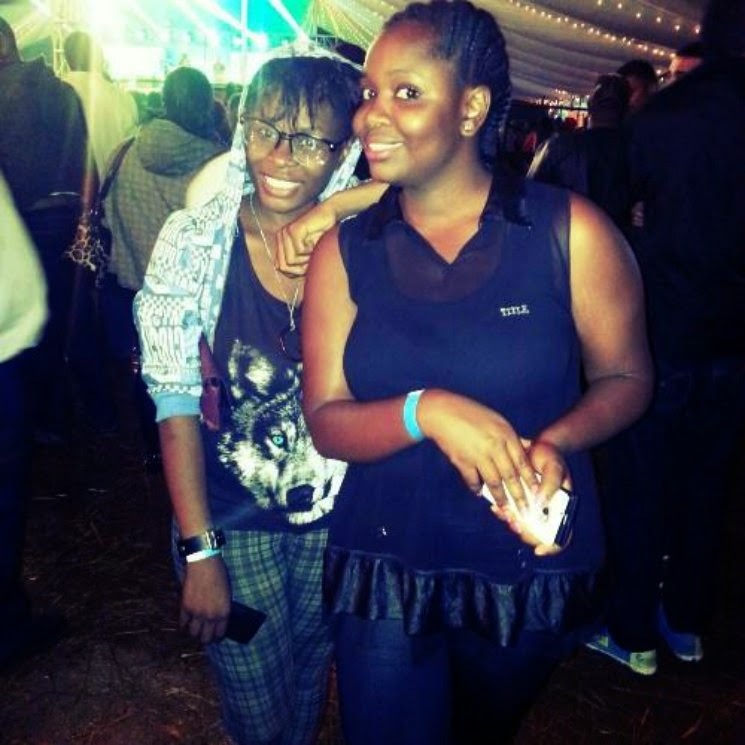 She also bragged of how she was able to hold Davido's hand. Although we cant really confirm this, it just leads us somewhere, check out the tweets.